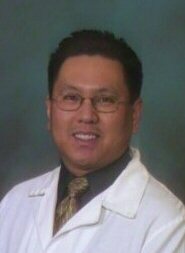 Dr. dela Cruz earned his Bachelors Degree in Physiology from San Francisco State University and his Doctorate of Dental Surgery from the prestigious University of the Pacific Arthur A. Dugoni School of Dentistry in San Francisco in 2000. Since earning his Doctorate degree in dentistry, Dr. dela Cruz has practiced in a number of private practices in the bay area from Salinas to Modesto. Dr. dela Cruz's practice philosophy encompasses providing a “dental experience.” Dr. dela Cruz has a conservative and preventative approach when recommending any dental treatment. Staying abreast of the latest in dental technology, Dr. dela Cruz is proud to have in his office an intra-oral camera, low radiation digital x-rays, the WAND, and a DEKA laser, in order to provide quality dental care. Dr. dela Cruz is especially proud of his electric hand piece, which performs more slowly, yet more powerfully and very quietly, unlike the commonly used air-driven variety with its characteristic whine. Provided dental services in the impoverished communities in the Philippines as part of the Filipino Missions Team at Valley Christian.